Tory Historian is not a great fan of "A Christmas Carol" despite that work having some of Dickens's finest writing. And finest with Dickens is very fine, indeed. But the rather old-fashioned Christmas with the Wardles in Dingley Dell warms the cockles of one's heart. Isn't it odd that Dickens, who lived in the age of the railway boom should have written almost exclusively about travelling by coach? The only important episode that involves a train that Tory Historian can recall, comes in "Hard Times". All that is by the by. A very happy Christmas to all our readers. Tory Historian feels a little overwhelmed by the number of important dates in December that have not been noted on this blog. Let us have a go at making up for lost time. The first one is the death of Henry I from a surfeit of lampreys on December 1, 1135. This is not specifically conservative news but is of importance in its influence on that great history text book "1066 and All That" as well as on Dame Ngaio Marsh who produced a seriously daft novel of that title in 1941. 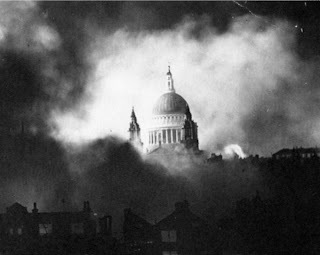 December 2 is the anniversary of something far more important - the opening in, 1697, of Sir Christopher Wren's masterpiece, the new St Paul's Cathedral, one of the most beautiful buildings in the world, seen above in the iconic World War II photograph. Of course, one of the problems with dates before the Calendar Act of 1751 is that we do not know how accurate they are but we have to assume that these dates have been adjusted. Moving right along, we come to a more ambiguous date. On December 6, 1921 (St Nicholas Day) the Irish Free State was created. Cue, methinks for an argument about the Irish Question. Then we come to the most important date of all from a conservative historian's point of view. December 7, 1783, William Pitt the Younger became Prime Minister and Chancellor of the Exchequer at the age of 24. Was he, perhaps, the greatest British Prime Minister? This blog will have to have a competition on that subject. How many votes will our readers give Pitt the Younger, Disraeli, Churchill, Thatcher or sundry others, I wonder. Should we allow the likes of Gladstone, on the grounds that he is unlikely to be Lib-Dem or Labour nowadays? 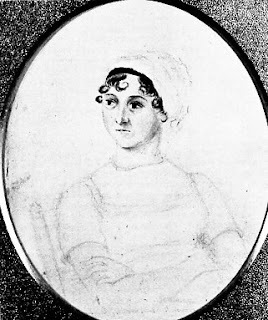 One of those great writers, Jane Austen, who has already figured on this blog, was born on December 16, 1775. 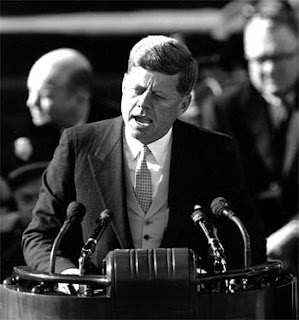 Then there are a couple of dates in American history, of importance to the whole of the Anglosphere. On December 16, 1773, some colonists over the Pond boarded three ships in Boston harbour and emptied the tea over board. Known as the Boston Tea Party, it was, of course, a tax riot and was to lead to important developments just three years later. On December 15, 1791 the first ten amendments to the United States Constitution, the Bill of Rights, are incorporated into that document. Their sole purpose is to protect individual rights and liberties from possible government encroachment. Let us end on science and engineering. On December 12, 1955 Christopher Cockerell patented his new invention, the hovercraft. 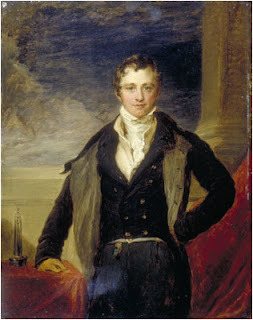 And today, December 17 is the anniversary of the birth in 1778 of Sir Humphrey Davy, inventor of the safety lamp for miners, who also discovered sodium, magnesium, calcium, barium and strontium. Not too bad for one month that is not finished yet. Then again, one cannot really leave the subject without quoting a couple of clerihews about two of the people mentioned above. Said "I am going to dine with some men. "Say I am designing St Paul's"
Many more where those came from. Tory Historian is not a great fan of John F Kennedy's. To put it more precisely, Tory Historian finds the adulation slightly nauseating and entirely unrealistic. He was a politician and, therefore, not to be adulated. As it happens, the entire Kennedy family has lacked moral compass but, probably "Jack" was a better man than his father or his brothers. Tory Historian cannot help wondering which of his speech-writers crafted that sentence. Tory Historian, as regular readers of this blog know, is a film fan (would like to be a film buff but there is a long way to go). For any conservative film fan the American blog Libertas is compulsory reading, what with the main blogger, a complete film buff as well as screen-writer and convinced conservative, calling himself Dirty Harry and that great picture of Orson Welles as Harry Lime. Of course, it is very difficult for Tory Historian to come up with anything equally glamorous by way of historians. Lord Acton? Dame Veronica Wedgwood? Sir Geoffrey Elton? Our own Andrew Roberts is the only one who comes anywhere near the mark. So let us pretend that historians might be made glamorous by their achievements in life and in the writing of history. Let us, therefore, pause for a Marc Bloch [in French with English-language pages under construction] moment. He is something of a hero to Tory Historian, despite the very difference in political views. There is an excellent intellectual biography of Marc Bloch around, by Caroline Fink, which seems to pay less attention to his private life than to his work as an historian. As this reviewer, Tory Historian applauds that. He was also the author of three highly important books on mediaeval history, the greatest one of which, “Feudal Society”, was Tory Historian’s textbook at university. In actual fact, it was Bloch’s unfinished “The Historian’s Craft” that particularly influenced Tory Historian at an even earlier educational stage. 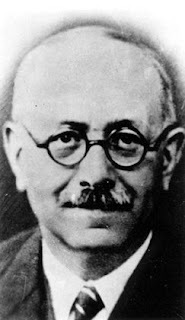 The book is unfinished because one fine morning in June 1944 as Marc Bloch was preparing for another day’s work, the Gestapo came to arrest him. As a Jew and a member of the Resistance he stood no chance. He was imprisoned, tortured and shot. Apart from “Historian’s Craft” Bloch left another posthumous book: “Strange Defeat”, an account of the French army’s collapse in 1940. Bloch was in the army and experienced the defeat, the subsequent shame and bewilderment and the panic in the country. Tory Historian was particularly impressed by one particular poing in “The Historian’s Craft”. Everyone on this blog knows full well that there can be no understanding of the present without a knowledge of the past but how many, one wonders, thought of the opposite? That is what Marc Bloch affirms and it is worth thinking about. In his case, as he explains, it was participation in the 1940 debacle that made huge devastating defeats of the Middle Ages more comprehensible. Similarly, one could argue that the reason sixteenth and seventeenth century with their, to the nineteenth century mind incomprehensible, wars and massacres caused by finer points of theology, became more popular in the twentieth century when wars and massacres were caused by finer points of ideology. That people should kill each other because of differences between transubstantiation and consubstantiation is no mystery to those of us who have known people who lived through or participated in ferocious killings because of differences between permanent revolution and socialism in one country. Tory Historian cannot recommend “The Historian’s Craft” highly enough. In fact, another re-read might be in order.